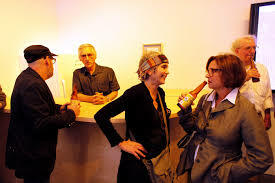 In 1975, Marioni started a project of weekly beer saloon at the Oakland museum. Then he moved in his studio in San Francisco. There were a few important rules such as: "no art collectors except in disguise" or â€œno drinking from the beer bottle except in character". To use beer as a "social lubricant".